Could Jersey Rival Bali as the Next Bitcoin Island? Following a recent initiative aiming to transform the Indonesian island of Bali into a ‘Bitcoin Paradise’, an advocacy group in the British Crown dependency of Jersey has announced similar plans to develop a ‘Bitcoin Isle’. 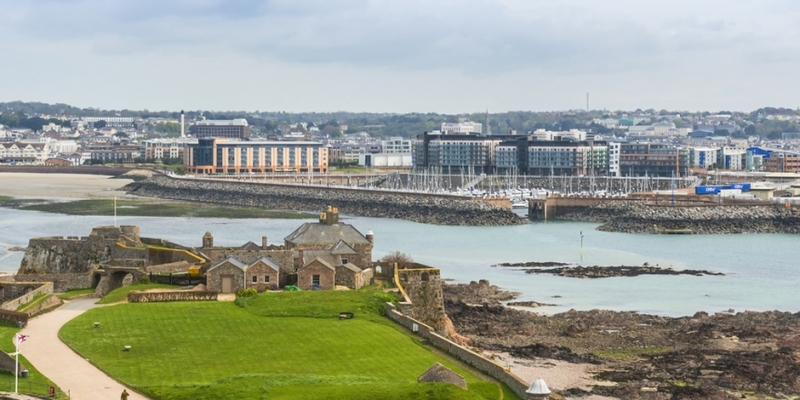 Bit.coin.je hopes that by encouraging businesses adoption and promoting a bitcoin-friendly regulatory environment, Jersey could become a vital hub for the digital currency, bringing together the island’s highly-developed finance industry with its burgeoning digital sector. Andrews added that Jersey’s high percentage of smartphone ownership and forthcoming 4G connectivity, alongside its “lean and nimble” approach to regulation, could facilitate rapid adoption of a cashless payment mechanism like bitcoin. Bit.coin.je is also aiming to make it easier for locals to purchase bitcoin with a Lamassu ATM, which the organisation hopes will launch within the next few weeks. Andrews has been interested in cryptocurrencies since 2010 and has encouraged further discussion and education on the subject with various public, business and government sessions on the island. Along with colleague Jon Day, he formed a community portal and organised a fortnightly bitcoin meetup to both bring together interested individuals and businesses and to create an environment for those wanting to learn more about digital currencies. This all led to the pair founding Bit.coin.je, to campaign for bitcoin in Jersey on a higher level. “Being able to gather these parties and communicate as a single voice is something we’ve already seen benefits from,” he said. Recent initiatives by the States of Jersey-funded body Digital Jersey have led to traditional local industries realising that bitcoin isn’t something that can be ignored. “The various bodies and departments that we’ve dealt with have been extremely receptive to learning more about [bitcoin] and have made some very proactive steps to looking how it could work with the existing regulations,” explained Andrews. Recently, another of Britain’s three Crown dependencies announced similar plans to encourage bitcoin business. The Isle of Man’s Financial Supervision Commission indicated in March that bitcoin exchanges holding client funds with a licenced overseas payment service provider are not required to obtain a licence for their business activities. Furthermore, the island was said to be considering changes to legislation that would see bitcoin businesses in the jurisdiction be allowed access to at least two of its specialised banks. More recently, a group of Isle of Man businesses launched a decentralized incubator for digital currency startups. “This is the biggest opportunity for the Isle of Man since gaming moved here. Bitcoin may be the digital currency of the future or it may not, but we are the ideal place for the technology to call home,” said R. Paul Davis, general counsel at Counting House, one of the service providers.